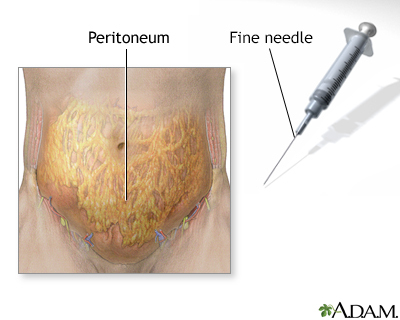 Peritonitis is an inflammation (irritation) of the peritoneum. This is the thin tissue that lines the inner wall of the abdomen and covers most of the abdominal organs. 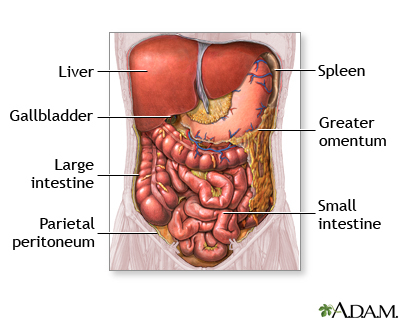 Peritonitis is caused by a collection of blood, body fluids, or pus in the belly (abdomen). One type is called spontaneous bacterial peritonitis (SPP). It occurs in people with ascites. 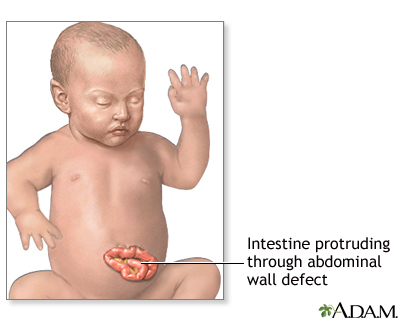 Ascites is the buildup of fluid in the space between the lining of the abdomen and the organs. This problem is found in people with long-term liver damage, certain cancers, and heart failure. The belly is very painful or tender. The pain may become worse when the belly is touched or when you move. Your belly may look or feel bloated. 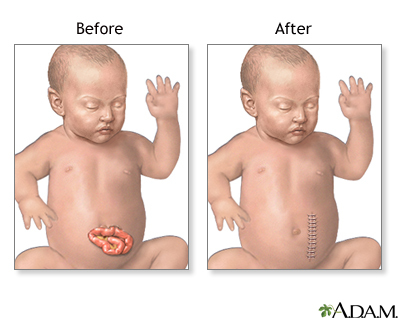 This is called abdominal distention. The health care provider will perform a physical exam. 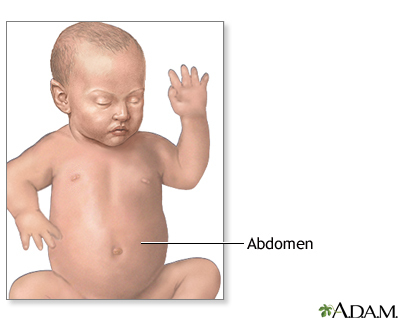 The abdomen is usually tender. It may feel firm or "board-like." People with peritonitis usually curl up or refuse to let anyone touch the area. Blood tests, x-rays, and CT scans may be done. 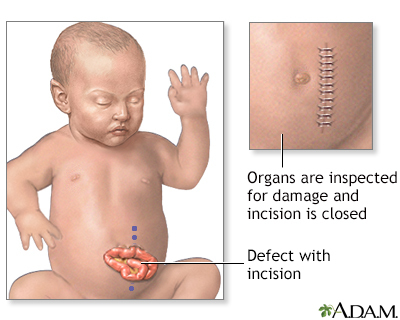 If there is a lot of fluid in the belly area, the provider may use a needle to remove some and send it for testing. The cause must be identified and treated right away. Treatment typically involves surgery and antibiotics. Peritonitis can be life threatening and may cause complications. These depend on the type of peritonitis. Go to the emergency room or call the local emergency number (such as 911) if you have symptoms of peritonitis. Kuemmerle JF. Inflammatory and anatomic diseases of the intestine, peritoneum, mesentery, and omentum. In: Goldman L, Schafer AI, eds. Goldman-Cecil Medicine. 25th ed. Philadelphia, PA: Elsevier Saunders; 2016:chap 142. The stomach and intestines are the main organs of digestion, converting and breaking down food into substances which are either absorbed by or excreted from the body.